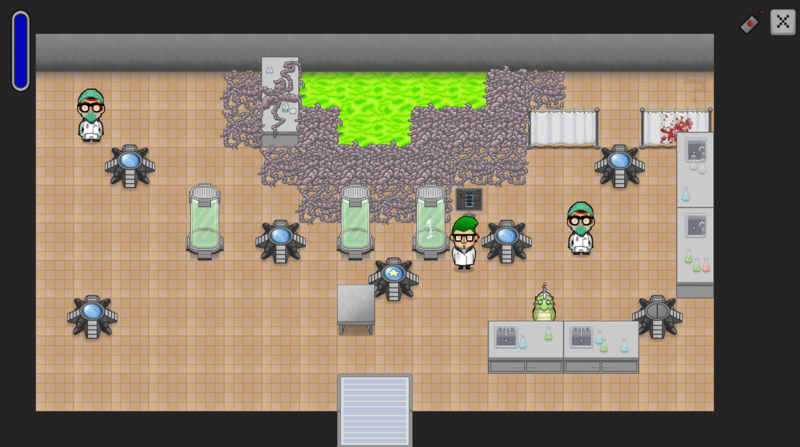 When Space Whale first formed, the plan was to make an in-depth tactical strategy game. After a few weeks of work going nowhere, the SW team participated in a game jam, and made a fun little puzzle game called "The Shovelnose Screamer". It was a weird game where the player was a bat that would scream out in order to guide blind baby bats out of a cave. After the game jam, we decided to make our first commercial product as an expanded version of the jam game, with a slightly less obtrusive theme. 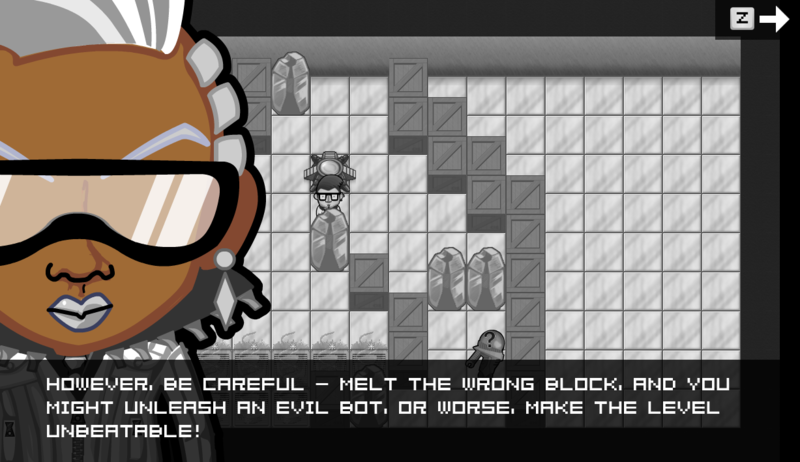 Return All Robots is an action-puzzle game. 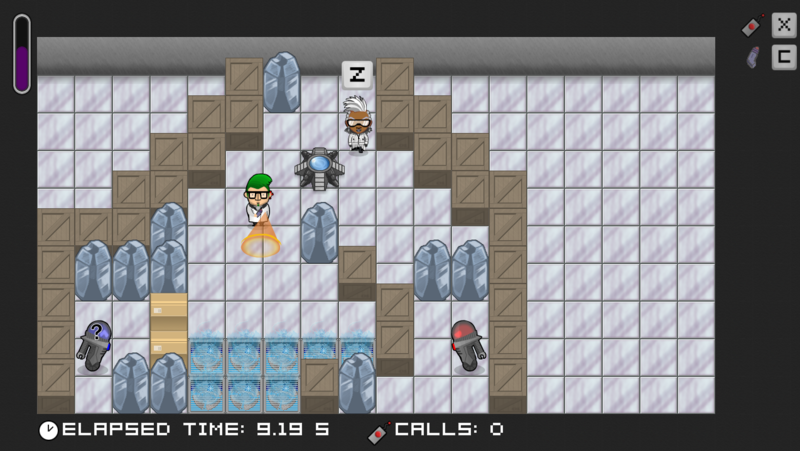 There are good robots that you have to lead to a teleporter so that they can be saved. There are also bad red robots, and if they touch a good robot, the teleporter, or the player, the level is a failure, and has to be restarted. The catch is that both good and bad robots respond to the player. 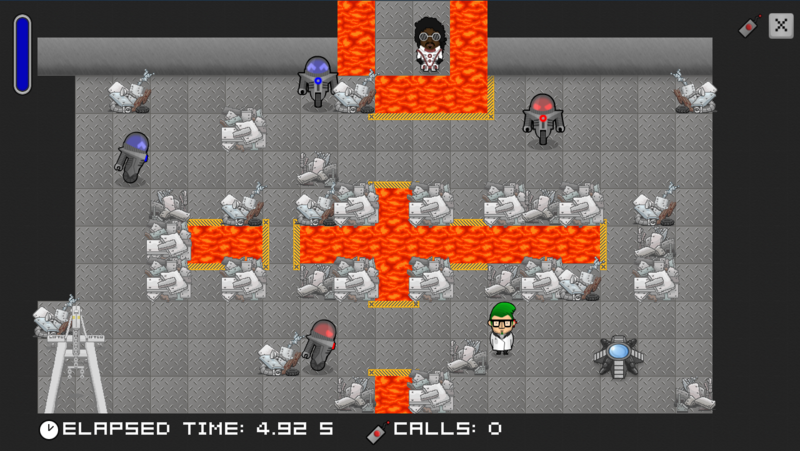 The game is played on a 2D grid, and the robots will always face the cardinal direction that has them looking at the player. When the player emits their radio signal, then all robots will start moving in the direction they are facing, and not stop until they hit something. Return All Robots was launched on the Xbox Live Indie Games (XBLIG) platform. Since we were a small, brand-new studio, we were hoping that by having a game quality that was way above other XBLIG games, we could get some attention by being at the top of that stack. The game never did as well as we had hoped, so we'll never know what would have happened if it had been that runaway success.